When Jude seems the girl sat on the bench he knows something isn’t right, first of all she doesn’t respond when he calls out to her, then screams as if she’s been woken up when he touches her and finally, she cannot remember anything. Jude is used to seeing strange things since six months ago when he discovered he could see the dead, but Story isn’t like the other ghosts, she’s different and Jude is the only one who can help her. I love ghost stories so I really wanted to read Memory as soon as I knew what it was about. The ghost element worked really well and I’m really glad I got the chance to read it. The story was really good, there’s something completely untoward going on and it makes the story flow really well. Most of the beginning of the story is trying to find out who Story is, what her past was and how she came to be at the graveyard when Jude meets her.. then it changes course and I loved where it went from there. Without saying too much about the plot to give it away there is a lot more to this book than just ghosts and it all makes for a great read. The characters were really cool and I loved how the ghosts kept their personalities from their living lives. I especially loved Gaskell and Miss Rathbone was brilliant… even if she wasn’t quite a ghost. The girl, Story was fascinating and I really liked her from what we learn about her. Jude was a good character too but I would have liked to know more about his past, about how he became what he is, there was a lot of ambiguity as to exactly what was going on and I would have liked for him to find out more about it. There were a couple of things that I didn’t really like about the book. The idea of Story remembering things was picked out an awful lot and I don’t think it needed to be made as obviously as it was in order for the reader to understand it all. The ending of the book was also a little rushed and I think it lost a little something because of this. Other than these niggles I did really enjoy the book, I would have preferred the book to be in first person but the descriptions of the graveyards worked really well in the book. I really felt like I was in the graveyards which I have wanted to visit for a while now. Highgate Cemetery is meant to be a magical place and reading Memory I could honestly believe this. Memory is a must for any ghost story lover and I will definitely be checking out Marzi’s first book, Heaven after the events of Memory had me on the edge of my seat. 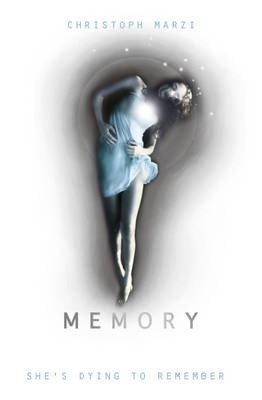 Memory will be published on August 1st by Orchard. My copy was sent to me from the publisher in exchange for an honest review.